There are many sights to see when you are in Roy, Utah from Waterfall Canyon Trail to Historic 25th Street. Whether you are checking out the architectural buildings at Union Station or viewing the Ogden Botanical Gardens, a toothache is the last thing you want to deal with, but you must. Tooth pain is a serious indicator that a problem exists and it is vital that you get it treated as soon as possible to prevent further complications. Roy has plenty of both general dentists and specialists to choose from. 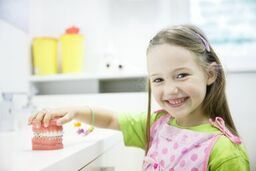 We at emergencydentistsusa.com have put together a list of area dentists and specialist available to serve you. The list includes both general dentists and specialists in the fields of orthodontics, periodontists, pediatric, oral surgeons, and more. Go over the list, chooses a dentist, and give them a call. If you would like more assistance, call our toll-free dentist finder hotline today. When you make a call to our hotline, a team member will assist you in finding a dentist to help you. We are there to listen to you, help you through the process, and even schedule your appointment for you. It is best to arrive at least 15 minutes early to your appointment to give yourself time to fill out your paperwork. Bring along your picture ID, insurance card, and payment method. It is also helpful to have a list of your current medications and allergies. There are many dentists and dental specialists available for you in Roy, Utah. While in the area, you can choose from general dentists to dental specialists such as orthodontists, oral surgeons, implantologists, and more. If you have a toothache, generally, you will want to consult with your general dentist to check if the problem is serious. They can determine if they can treat the issue or if you have to be referred out to a specialist. Description: Roy Dental Care wants to help you achieve your oral health goals. They aim to provide you with a comfortable experience in a friendly environment. The staff provides a wide range of services such as general, cosmetic, preventative, whitening, TMJ treatment, and more. The office accepts most PPO dental insurance plans and offers in-house financing, as well as third-party financing. Description: Davidson Dental has been providing Roy with family dentistry since 1984. The team is friendly, professional, and provide you with personable care. Dr. Davidson and his staff offer many services including checkups, cleanings, fillings, veneers, implants, whitening, and more. The office accepts most insurance and major credit cards. They also offer financing through CareCredit. Description: Lakeview Dental uses the most advanced procedures available. They practice a holistic, health-centered dentistry while staying affordable. A full range of dental services are offered from veneers, fillings, root canals, crowns, whitening, and much more. If you have a toothache that lasts over an hour, you need to seek treatment promptly. Serious dental problems can be avoided if you receive care immediately to make certain further problems do not arise. If your pain is due to an accident, you need to go to the ER to be treated first. Before seeing a new dentist, take the time to verify that their licenses and credentials are all up to date. This is a simple process that takes only moments. You can do it by visiting the Utah Dental Association website and typing in the dentist’s name and verifying their information.